Thoth or Nepthys - Cosmic stage. Corresponds to the “Secret Chiefs” of the G.D., or the Order of the A.A. in Crowley's system. Normally Thoth is attributed to the last I of IRNI as ruler of the Sphere of the Fixed Stars. In this ritual Nepthys, in her aspect as a goddess of perfection, is substituted to maintain a balance between the masculine and feminine forces. Elemental Air, astrologically Mercury / Aquarius (Thoth) or Libra (Nepthys). The invocation of the planets uses the Hebrew planet names and god-names. The English following each planet's name is a loose translation of the Hebrew inserted purely for emphasis. The variations in phrasing in the invocations of Luna, Mercury, and Venus (“enlivens you”, “moves you”, “is your god”) are a cabalistic pun on the old Theosophical phrase concerning the worlds in which the uninitiated man “Lives, and moves, and has his being”. The sephiroth corresponding to these planets are the cabalistic equivalents of the Theosophical worlds. Our space explorations have shown that matter is much the same elsewhere in the solar system as it is here. There is no reason to think that this sameness can not be extended to the rest of the universe. The Earth is in no way more “material” than any other place. Our perception of the Earth as different in some way from the rest of the universe is purely subjective, and completely relative. Under this conception, we must abandon the idea of the Earth being irrevocably tied to Malkuth. Viewed from the spatial perspective she actually encloses the elements, and the life she holds, within herself. Therefore she is properly placed in Binah. Under this same conception Saturn, representing limitation, the “horizon” beyond which we can not see but only speculate, can be taken out of Binah and more properly placed in Malkuth. The astrological characters of the two planets have always supported such a move – a fact that has been indirectly recognized by many writers as early as the Golden Dawn era. There is no obvious reason why the change has not been proposed formally before now. Perhaps it is the fact that the Hebrew divine names are the only truly effective means of evocation that has been available, and the Hebrew system is based entirely on the naive, subjective view in which the Earth was an infinite expanse of stone totally separated from the ethereal realms above. 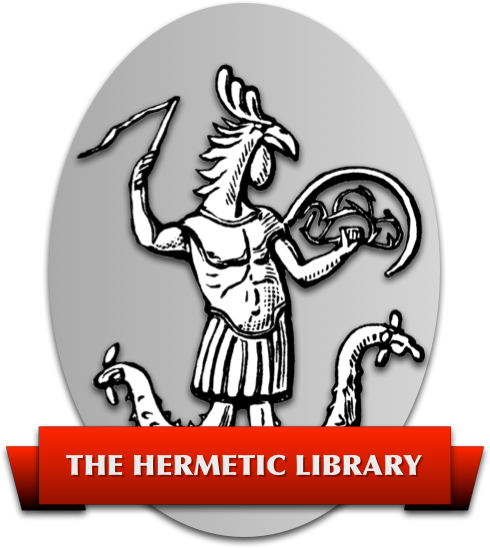 The only system of comparable effectiveness, the Enochian system, as yet lacks a framework for invoking the powers of the planets themselves, though the Heptarchy provides an avenue to those powers through angelic intermediaries.